A UPS, or Uninterruptible Power Supply, protects against loss of electricity supply by providing battery back-up for a period of time. Uninterruptible Power Supplies can be utilised to provide short-term power during an outage, or until a standby generator is started for longer-term power back up. A UPS is one of the last lines of defence in a data centre, so quality and reliability must be guaranteed when making the purchase. 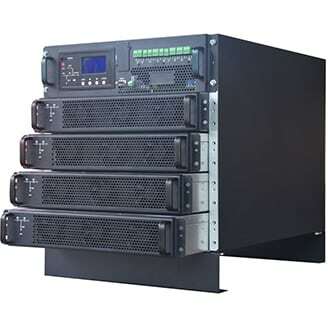 With the right Uninterruptible Power Supply to help when power is interrupted, businesses can be confident that their data is safe and secure. A technical paper discussing common power problems affecting computers, and the ways an Uninterruptible Power Supply can reduce the likelihood of business interruptions in data centres. 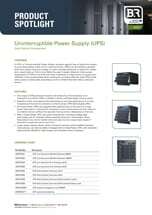 A brochure outlining B&R’s new range of UPS’s, an essential accessory for any data centre. A brief overview of the features of B&R’s range of Uninterruptible Power Supplies.